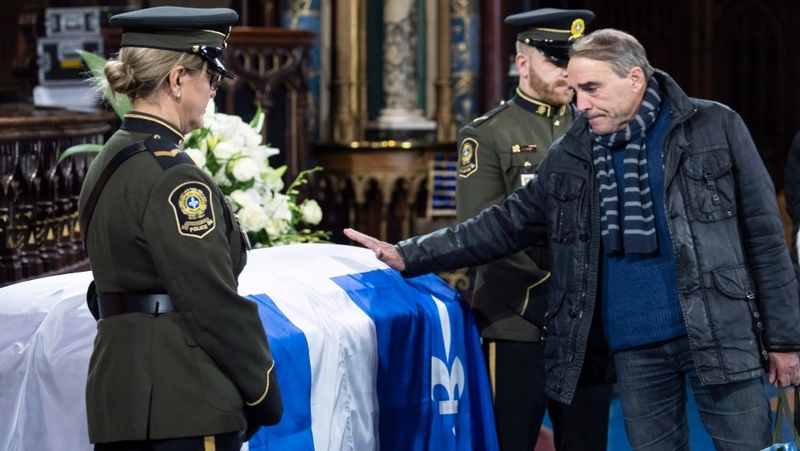 MONTREAL -- Friends, colleagues, adversaries and regular citizens lined up at Montreal's Notre-Dame Basilica Monday to offer condolences to the family of former Quebec premier, Bernard Landry, who died last week at the age of 81. Landry's daughter, Pascale, told reporters the family has received tributes for their father from across the province and around the world. "The wave of sympathy really surprised and shocked me," she said, "but it also comforted me, and what I love to see is that there are people from all over who gave us their sympathy." 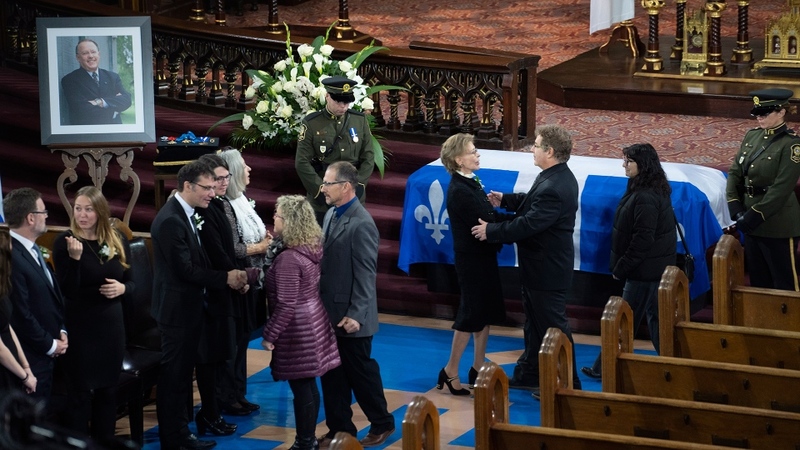 Inside the basilica, Landry's closed casket was draped in a Quebec flag next to a large photo of him. Former Liberal premier Jean Charest was one of the first who arrived to pay his respects. Charest said his former Parti Quebecois opponent "would make us suffer during debates." Charest saluted Landry's investments in the province's video game industry and his economic vision for the province. 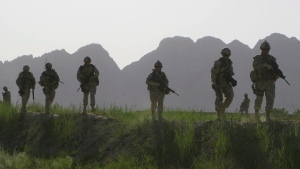 "He gave economic credibility to the sovereignty movement," Charest said. Charest's successor, Pauline Marois, who held several portfolios in Landry's government, struck an emotional tone. "We always have the impression that people like this will never go, will never leave us," she said. 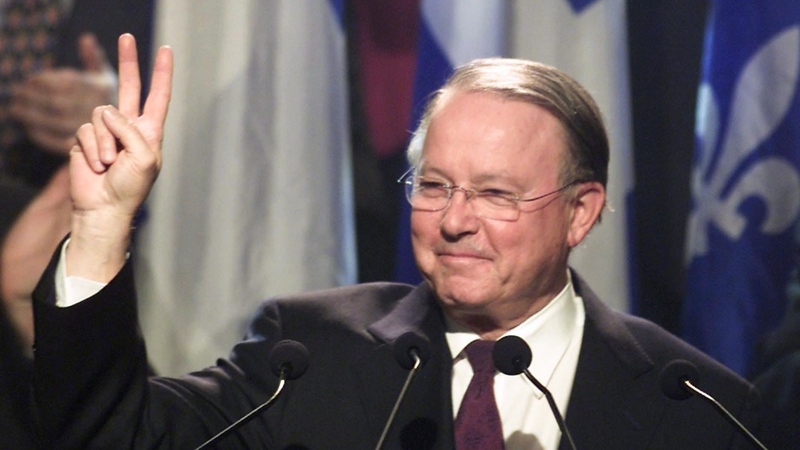 The funeral for Quebec's 28th premier will be held Tuesday afternoon at the basilica. His body also lay in state Saturday in Quebec City at the provincial legislature. Landry's health had been failing in recent months, and he died Nov. 6 at home in Vercheres, Que. of complications from pulmonary disease. After Lucien Bouchard resigned as premier in January 2001, Landry replaced him as PQ leader and premier. He served two years before being defeated in the April 2003 election by Jean Charest's Liberals.